The government is investigating whether any laws were broken in the disclosure that Barack Obama's aunt was living in the country illegally. Obama's half-aunt, who is from Kenya, was ordered to leave the United States years ago after an immigration judge denied her request for asylum, a person familiar with the matter told The Associated Press late Friday. This person spoke on condition of anonymity because no one was authorized to discuss the case. 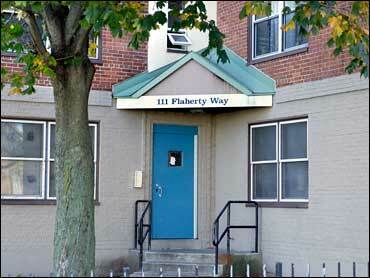 The woman, Zeituni Onyango, is living in public housing in Boston and is the half-sister of Obama's late father. The Immigration and Customs Enforcement asked its inspector general and the Office of Professional Responsibility on Saturday to investigate whether any policies were violated when information about Onyango's case was publicly disclosed, ICE spokeswoman Kelly Nantel said. The Homeland Security Department, which oversees ICE, cannot disclose details about an individual's immigration status. Information about Onyango's case was disclosed and confirmed by two separate sources, one a federal law enforcement official. The information they made available is known to officials in the federal government, but the AP could not establish whether anyone at a political level in the Bush administration or in the McCain campaign had been involved in its release, just five days before the presidential election. Obama's campaign strategist David Axelrod said people are suspicious about stories that surface so close to an election. Obama said Saturday he did not know his aunt was living in the United States illegally and believes that laws covering the situation should be followed. The campaign said it was returning $260 that Onyango had contributed in small increments to Obama's presidential bid over several months. Federal election law prohibits foreigners from making political donations. Onyango listed her employer as the Boston Housing Authority and last gave $5 on Sept. 19. Onyango, 56, is part of Obama's large paternal family, with many related to him by blood whom he never knew growing up. Obama's father, Barack Obama Sr., left the future presidential nominee when the boy was 2, and they reunited only once - for a monthlong visit when Obama was 10. The elder Obama lived most of his life in Kenya, where he fathered seven other children with three other wives. He died in a car crash in 1982. Obama was raised for the most part by his mother and her parents in Hawaii. He first met his father's side of the family when he traveled to Africa 20 years ago. He referred to Onyango as "Auntie Zeituni" when describing the trip in his memoir, saying she was "a proud woman." Onyango's refusal to leave the country would represent an administrative, noncriminal violation of immigration law, meaning such cases are handled outside the criminal court system. Estimates vary, but many experts believe there are more than 10 million such immigrants in the U.S. The AP has not been able to reach Onyango for comment.